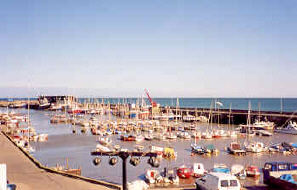 These holiday chalets are situated within the South Shore Holiday Village on the south side of Bridlington Bay. 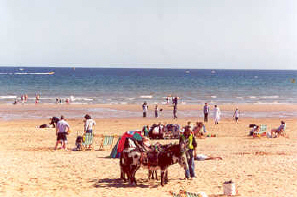 The chalets are ideally situated for the beach, which is just 100 yards away. Between 4 to 6 people can be accommodated. They are very popular because of their excellent location and because they are very reasonably priced. The holiday village facilities include 2 supermarkets, nightclub, a childrens' club and cafes. There is also parking available. There are also sailing facilities nearby including the Belvedere Yachting Compound with launch pad, which can be reached from the chalet by walking through a big field.